Harnessing Social Media To Reconnect Homeless People With Their Families A San Francisco organization reunites homeless people — or "houseless" people — with their families through social media. They want to reconnect 1 million people in the next five years. Andrew Loy begs along a sidewalk in San Francisco, Calif. on June 28, 2016. San Francisco has made headlines as a hub for technology — giants like Facebook, Apple and Google are headquartered nearby, as are a plethora of tech startups. At the same time, residents complain that those same tech companies are part of the cause of the city's astronomical cost of living — and in turn, contributing to the city's big homeless problem. Homelessness in the city is a problem well reported — the San Francisco Chronicle even ran a front page editorial earlier this year calling the "level and pervasiveness of homelessness in San Francisco" a "civic disgrace." Measuring the number of homeless people in San Francisco is hard; one estimate gathered by a group of volunteers over one night counted 6,686 adults. The city's Department of Public Health counts homeless people using city services over a year and counted 9,975. San Francisco doesn't lead the country in per-capita homelessness. 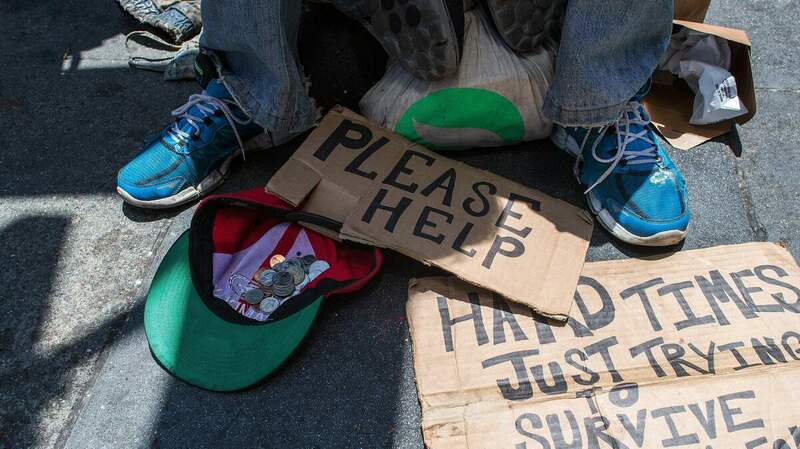 But the reason San Francisco's homeless problem is much more visible than other large cities is because the city has more per-capita unsheltered homeless people: "511 people on the streets for every 100,000 residents," as noted by the Chronicle. Naturally, someone in San Francisco had an idea to use technology to help alleviate one of the symptoms of homelessness: falling out of touch with one's family. That's the mission of Miracle Messages, an organization started by Kevin Adler in 2014. 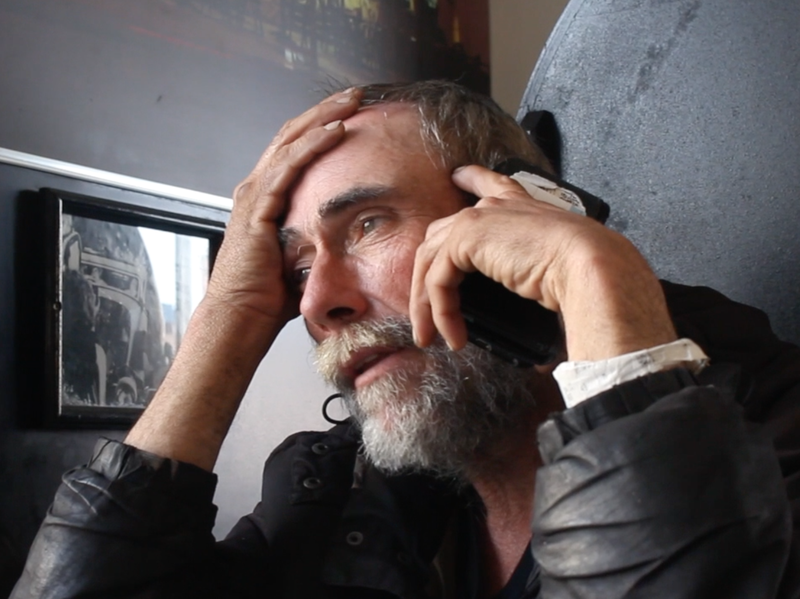 Volunteers record video messages from homeless people to their loved ones, who they have often not seen for many years. The organization then uses social media to publicize the videos in hope of contacting that person's family. Dave Adams lived on the streets in San Francisco for 20 years. He tells NPR's Mary Louise Kelly that he lost touch with his family and couldn't figure out how to make contact — "I ain't computer smart," he says. That changed after he recorded a video message with a Miracle Messages volunteer. Adams learned he had a half sister named Dorothy, who had been looking for him for years. Adams says she started crying the first time he called her. Dave Adams was able to speak with his family for the first time in many years after a volunteer connected them. It's one of the success stories for founder and CEO Kevin Adler, who says in about 90 percent of the cases that messages reach the family they are positively received. Many people are hesitant to participate at first, though. "They've said, 'Well, I don't know how the family is going to respond, I feel like a burden, I feel ashamed, I'm embarrassed,' " Adler tells NPR. "Trying to get past that — doing something very simple, with what we call a video postcard is a very helpful first step for basically saying who you love, who you want to reconnect with, whatever kind of message you want to leave. And we'll do our best to deliver it." The mission is personal for Adler. It has to do with empathy and understanding people as more than just the label "homeless," including his own family. "My uncle Mark had been homeless for about 30 years," Adler says. "He suffered from schizophrenia, lived on and off the streets. I never saw him as a homeless man. He's my beloved uncle." "I ain't homeless, I'm houseless," Adams interrupts. "Exactly — houseless," Adler says. "And so when we walk down the street and we see someone who is without a house, it's easy to define them by that. And we want to live in a world where we walk down the street and we don't see Homeless Joe or Jane ... but we see someone's loved one." "Homelessness is a state of mind," Adams says. "Houseless is like how I think about it. Where you lay your head at night and lay down and go to sleep. Whether it's in a mansion, whether it's in a jail cell, or a car, or school bus, or a doorway — one thing about it is, that's home." Adler's goal for Miracle Messages is ambitious. "We want to reunite 1 million people by 2021," he says. "That's 1 percent of the world's homeless population — houseless population. So yeah, if we're really going to move the needle in ending homelessness and using social media for social good, we figure we need to set the goal at least at a million, and then hopefully exceed it." For his part, Adams is headed to work and live at his sister's farm in Tennessee. She's going to pick him up at the bus stop, he says.